STAMFORD, Conn.- Pitney Bowes Inc. (NYSE:PBI), a global technology company that provides innovative products, solutions and data to power commerce, today announced a dramatic expansion of its data and software solutions that will enable organizations to better understand customers with context to location. The expansion includes updates to the Pitney Bowes flagship Spectrum solution, which incorporates address, location and customer data information to create a single view of a customer; unique customized data sets that organizations can deploy to supplement existing investments in business intelligence (BI) infrastructure; and the U.S. debut of the Confirm solution suite, a popular infrastructure management solution used by hundreds of government agencies around the world to improve employee efficiency and constituent services. “In today’s market, customer experience is dependent on having a complete, single view of the customer. That simply isn't possible if location isn't factored into the equation,” says Bob Guidotti, EVP & President, Software Solutions, Pitney Bowes. “Today, Pitney Bowes is building on our world-class Spectrum technology and our leadership position within location intelligence to deliver a powerful set of capabilities for turning consumer, business and infrastructure data into rich insights that public and private organizations can use to provide better experiences for people they serve." Data generated through consumer mobile devices, sensors, social media and transactions is growing exponentially. Gartner forecasts that 8.4 billion connected things will be in use worldwide in 2017, up 31 percent from 2016, and will reach 20.4 billion by 20201. That’s why business and government organizations around the world need powerful location tools to include within their Big Data framework to perform location analytics that reveals actionable business and operational insights. To meet these needs Pitney Bowes is announcing a new Big Data module to its Spectrum solution, which delivers the ability to validate and cleanse customer and location-based data natively within Apache Hadoop and Spark, before applying analytics. Clients benefit from the combination of market-leading address validation, GeoEnrichment and analysis to derive more meaningful insights from structured and unstructured data. For example, organizations can use these location-based insights to gain a 360-degree view of property to streamline the mortgage process, and property and casualty underwriting; offer coverage mapping for real-time mobile networks; and understand customers, merchants and ATM locations. To help deliver the new Spectrum solutions to market, Pitney Bowes has partnered with several of the largest Big Data software providers, including Cloudera and Hortonworks, and certified its data quality and advanced geospatial capabilities on both Cloudera Enterprise and Hortonworks Data Platform. Furthermore, it has joined the Hortonworks Partnerworks in the Modern Data Solutions (MDS) partner program. Through these partnerships, clients that have invested in Big Data frameworks can easily add Pitney Bowes data quality and location capabilities to their data lakes and business processes. Many enterprise organizations invest heavily in database or BI infrastructure and know those capabilities provide a better return with the addition of location-based data. But many companies do not have the time or wherewithal to accumulate and enrich the address information to take these deployments to the next level. To alleviate that challenge, Pitney Bowes is announcing a new Addressing and GeoEnrichment Data Portfolio that will include industry-specific data sets organizations can quickly and affordably deploy to better understand their customers through Pitney Bowes-delivered flat files, or within Big Data environments such as Apache Hadoop and Spark. The portfolio will initially include 24 pre-built data sets for the insurance and real estate markets. More data sets are expected to be released over time. These GeoEnrichment data sets are associated with a U.S. address through a simple and fast look-up process using a proprietary and persistent ID, called the pbKey. Detailed location attributes, such as property information, area demographics, proximity to hazards, availability of services and more, now enable clients to quickly build a more complete “golden record” of their customers in context of their location. Today, local and state governments are faced with the challenge to become more responsive to citizens with better services for basic needs. Aging infrastructure, deferred maintenance and lagging investment have led to a decline in the condition of public infrastructure. In fact, a recent assessment from the American Society of Civil Engineers (ASCE) gave U.S. infrastructure a D+ or “poor” rating. 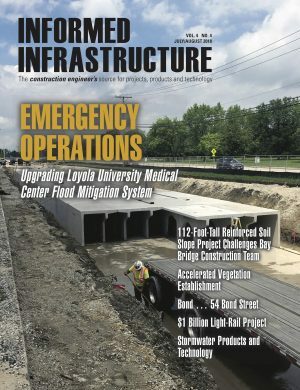 Whether they repair, replace or upgrade failing infrastructure, state and local governments are under extreme pressure to optimize spending and allocate resources efficiently. To help state and local government agencies cope with such challenges, Pitney Bowes is now offering Confirm, a cloud-based, asset data and Intelligent Infrastructure Management solution, to U.S.-based public and private sector organizations. Confirm is an end-to-end integrated platform that effectively manages asset data across all phases of the lifecycle from current condition records management to maintenance and future investment planning. This globally-renowned solution is already supporting 45 percent of road infrastructure management in the U.K., and more than 140 million citizens worldwide. An IoT-integrated and location-based solution, Confirm helps accelerate both strategic and operational business processes, while supporting workforce mobility and legislative compliance, such as MAP-21 and FAST. Clients also have access to a global community of product users and the Confirm development team via the Li360 Collaboration Community, which facilitates rapid time-to-value and product innovation. “The implementation and rollout of Confirm has successfully delivered against our business plan, releasing cashable savings of over $2 million over five years,” says Alan Aistrup, Divisional Highways Manager, Lincolnshire County Council. With the help of Pitney Bowes Spectrum Solution, GeoEnrichment data products and Confirm Intelligent Asset Management, clients across verticals from telecommunications and financial services to insurance, retail and public sector, are better utilizing customer-generated data to promote increased business value. Retail: Retailers are facing a fundamental shift in consumer behavior with technology adoptions and the “Amazon Effect,” which set expectations for a seamless shopping experience. The Spectrum Big Data module helps retailers leverage Pitney Bowes Points of Interest Data, combined with customer location information, to deliver more targeted marketing and push notifications to customers when they’re within a specific boundary. Insurance: A property insurance provider was able to accurately assess risk and market the right coverage to a new homeowner by using GeoEnrichment data products. The provider layers data file information around property value, HVAC life, recent property assessments and an additional 200 attributes to ensure that not only the homeowner was protected, but so too was the provider. Telecommunications: A mobile telecom builds smarter geofences in proximity to public points of interest by spatially-enriching 12 Million customer data records with 150 Million parcels boundaries and 10 Million building footprints. Initial efforts using the Spectrum Big Data module completed the process in 7 days, but once the process was ported into Hadoop, the entire process was completed in 36 minutes. Financial Services: RCG Global Services, a Systems Integrator based in New Jersey, is working with Pitney Bowes to help financial institutions implement Pitney Bowes Data Quality and Spatial Analytic software for a number of use cases. Solutions offered through the partnership enable institutions to append existing customer and merchant data with location intelligence and demographics to deliver targeted services, improve anti-money laundering and fraud detection, and generate greater preference for their products. Real Estate: Many real estate firms are small, local companies. Unlike their nationwide competitors, these firms don’t have the funds or technology to build applications that offer property comparisons. However, these firms are now using the GeoEnrichment data products to offer a comprehensive view of a property and how properties compare to others in the surrounding area and neighborhood. Public Sector: Cities around the world are focused on becoming more intelligent and more sustainable, and The City of Sydney is no exception. With the help of a mobile-first Corporate Asset Management System (CAMS), based on Pitney Bowes Confirm, The City of Sydney is able to better manage the lifecycle of infrastructure assets worth AU$12.7 billion. Through this asset data management process, The City of Sydney can better comply with legislative mandates and promote a vision for a green, global and connected future.